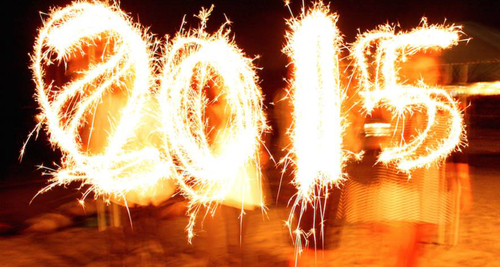 Welcome to 2015 – your best year yet. So, this is the year you finally get in shape/launch that business/see the world? Well, that’s amazing! And I want to help. I am a big fan of setting resolutions, and I work really hard to keep them. So here are a few tips and pointers on writing useful resolutions, and making sure you keep them all the way through to the end of December. Read on to learn How To Make – and keep – Your Resolutions. Personally, last year was quite good. It was definitely better than the previous couple of years! I think this had a lot to do with how hard I worked on improving and advancing myself. After doing a little ‘review’ of my year, I am happy to look back and realise I kept up or completed about 80% of the resolutions I made. I think setting resolutions is a great idea, whatever the reasons for it. Whether you are looking for self-improvement, learning something new, or just having a little more fun, resolutions are a great way of doing so. However, making sure you just don’t write a list and forget it in a drawer is just as important! To make sure you don’t set yourself up for failure, it’s important to understand the overall idea behind them. I think that there is a distinction between resolutions and plans. I use resolutions to create habits that I would like to have, or to remove things that I don’t like in my life. I then make plans on ‘big ticket items’, like adventures or travel plans. I recommend making a different list, starting with the bigger items, and then working in habits that could help you achieve these. Using that template you can set sub-goals that break down the more difficult resolutions. A good idea is to regularly revisit your list to check-in and see how you are doing! For example, you can set a calendar alert to remind you to do this every other month or something similar. Now that you’ve created your draft, you should look at rewriting your resolutions slightly so that they are S.M.A.R.T. Your resolutions need to be as specific as possible. Big, sweeping generalisations only help in getting you frustrated, in setting you up for failure and in helping you forget them come March. The more specific your resolution, the more actionable it becomes, and therefore, the easier it is to create habits that help you achieve it. For example, let’s assume your resolution is to “Exercise more”. How will you know if you achieved it? How will you keep doing it in a couple of months? A much better way of phrasing that resolution is to get more specific. The resolution becomes “Exercise at least 3 times per week”. It helps you set goals that you can consistently follow, and you can then decide whether those 3 times need to be the same (gym), or it can be changed (run one day, gym 2 days or 3 Crossfit sessions, etc). Try to get as specific as possible so you can work on creating habits that will make you complete your resolutions without you even realising it. A resolution that is not measurable is just a bout of day dreaming. If you are not measuring them, you are not committing to completing it. What is the point to say “Exercise more”, or even “Exercise 3 times per week” if you don’t keep track of it? You will then become more and more relaxed whenever you don’t even try to take action about your resolutions, to the point that you forget about them altogether. So, you have great specific resolutions, and you are committed to tracking them on a daily basis. What happens to those days that you need extra encouragement? Or how do you keep them interesting for the entire year? Make them accountable: get other people involved. A fantastic way to help you stay with your resolutions for an entire year is to introduce other people. Perhaps you want to share your set of resolutions with your friends and loved ones? Perhaps you want them to help you accomplish them? Or perhaps you can even ask people to write you a few resolutions. This is what I do with my family. Every year, we each write each other 2~3 resolutions that we think would be fun or that would be great for them. I get about 8~10 new ones from my parents and siblings. It’s one of my favourite parts about resolutions! I get to see what they think I should be working on, I get some fun challenges, and it gets everyone in the family involved in a few fun activities. Try it! Now, for the disclaimer part of setting resolutions. They need to be realistic. Setting a resolution to “Go to space” is fantastic, especially if you use the template and set sub-goals on how to achieve it. But a word of warning. Setting unrealistic resolutions can be quite disheartening and might undo all the good that the positive habit forming ones create. Push yourself! Drive yourself to grow! But also give yourself (challenging but) achievable goals, so you can stay positive about accomplishing them. What is the point of adding robotic and boring resolutions that take over your life? If you finish your list and it has only items like “Drink 8 glasses of water a day; Learn 5 new words in a foreign language a week; etc etc” ad nauseam, you are not going to have a great time. Guaranteed! Throw in a few crazy resolutions, fun adventures, or things that are completely outside your comfort zone. If you are serious about your resolutions, every time you revisit the list, you will see this one and it will make you smile. But don’t stop there! Make it a priority, and work hard to complete it. At the very least, you will have a great story to tell. I hope you have an amazing year ahead.